"We want to make the best guitars in the world and the Plek machines help us do that...."
Martin Guitar need no introduction. They have been creating some of the world's finest instruments for over 180 years and their instruments have become a byword for top quality acoustic guitars. Martin guitars are hand-made by skilled craftsmen and women, who use a combination of new design and techniques along with those introduced by the company founder C.F. Martin. Of course, it is no secret that Martin Guitar uses the Plek machine to enhance the playability of its instruments. In fact, the team at Martin are so satisfied with the results that they now include a "playability enhanced" info tag on their website descriptions of all their pleked guitars. "There is nothing more important than the quality of the sound and tone of our instruments. This is why Martin Guitar has been utilizing machines for almost a decade on all of our instruments, to provide guitar players with unparalleled craftsmanship and playability." "For 183 years, the Martin Guitar Company has been manufacturing the world's best acoustic guitars. The Martin tone is legendary and one that we do not take for granted. Playability does not start at the end of the process. 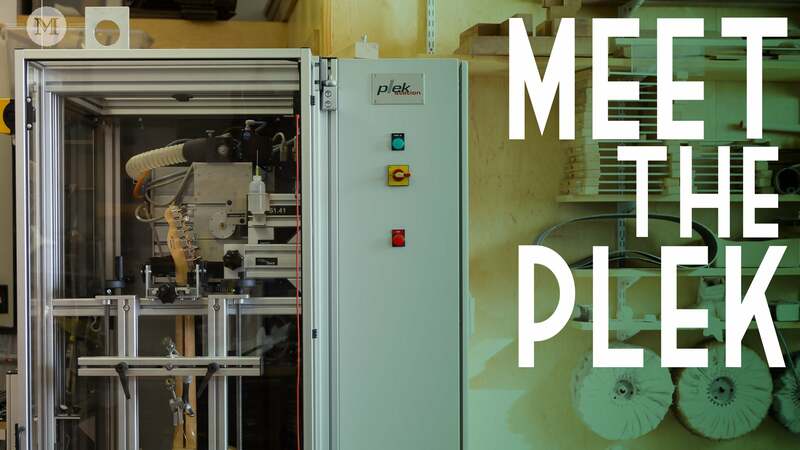 The level of expert craftsmanship that goes into every instrument produced in our facilities is perfected through the use of the Plek machines. Basically, it's the cherry on top of the sundae." And to underline their message, Fred also features in an 8-minute company video dedicated exclusively to the topic of playability. For us here at Plek, we are honored by the trust that Martin places in the Plek process, and proud to be able to help in the making of such wonderful instruments.